Is it time to plan your annual family getaway? Look no further. Aruba Beach Resort provides high quality 3.5 star AAA rated Broadbeach family holiday accommodation close to many of the best family attractions on the Gold Coast. Aruba Beach Resort is just a short drive from Wet ‘n’ Wild Water World, Sea World, Movie World and Dream World, four of the most popular theme parks in Australia. Each attraction is crammed full of white knuckle rides, entertainment shows and great places to grab a bite to eat. Pack your camera and get ready for a family day out to remember! Our Gold Coast holiday apartments are just a short walk from Jupiter’s Casino, a renowned entertainment complex with a huge games room and several chic bars and restaurants which stays open for 24 hours a day. 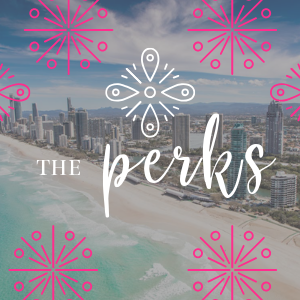 Elsewhere, you will find a truly impressive array of restaurants, bistros and cafes in and around Broadbeach with new and interesting cuisine on offer from every corner of the globe. Beachside Broadbeach Mall is a great place to head for a casual and affordable lunch in a gorgeous location, just a short distance from our Broadbeach family holiday accommodation. Shopaholics will love the huge selection of high-street brands at Pacific Fair Shopping Centre, while the Oasis Shopping Centre offers a unique mix of fashion boutiques and gourmet food shops. Both shopping centres are within easy reach of our Broadbeach apartment accommodation. After a long day exploring Broadbeach, enjoy a relaxing dip in the pool before bed at our Broadbeach family holiday accommodation.